Jacob, Jeanne and Ashkenazi, Michael, editors. 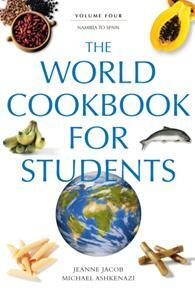 The World Cookbook for Students: Volume 4, Namibia to Spain. Greenwood, 2006. ABC-CLIO, publisher.abc-clio.com/9781573567688.